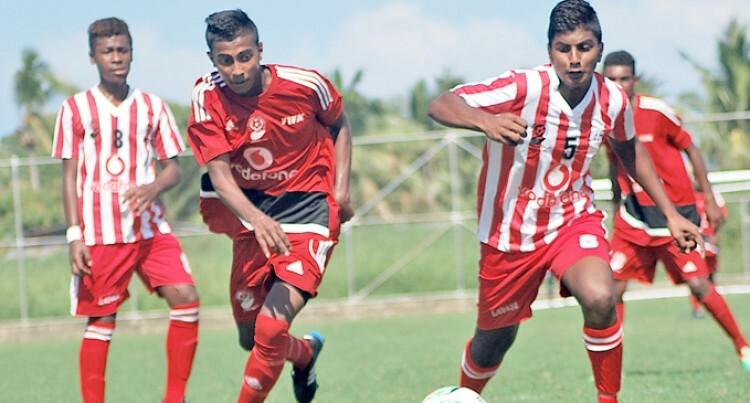 The Vodafone Fiji FA national Under-17 league will be played at different venues this weekend. Fiji FA competitions manager Amitesh Pal said after so many years a national league match of any kind will be played at some of these venues. “We are giving opportunities to Nadogo, Navua and Tavua to host the under-17 league matches this weekend, “Pal said. He said Nadogo will have an opportunity to host Labasa at Nadogo Central College ground at 1pm. He said this is also part of their development programme. Other matches played this weekend in the Vodafone Fiji FA national under 17 league will see Tavua play Lautoka under 17 at 1pm while Nadi will battle Nadroga at Nadi Muslim College Ground at 3pm on Sunday. Suva under 17 will face Rewa under 17 at 11am on Sunday at Fiji FA Academy Ground in Vatuwaqa. Vodafone Fiji FA National under 17 League Southern Zone; Tailevu Naitasiri 5-2 Suva, Tailevu Naitasiri goals: Shahil Prasad 47’ 71’ 80’, Kritesh Kumar 25’ 35’. Suva goals: Nikil Nitesh Chand 30’, Philip Leong 73’, Rewa 2-0 Navua. Rewa goals: Josaia Sela (2) 70’ 90’. Northern Zone, Labasa U17 2 vs 1 Bua U17, Savusavu U17 0 vs 0 Dreketi U17, Nadogo U17 0 vs 2 Seaqaqa U17, Western Zone Ba U17 5 vs 2 Nadi U17, Lautoka U17 2 vs 1 Nadroga U17.